Let a little air out of the tires of course! 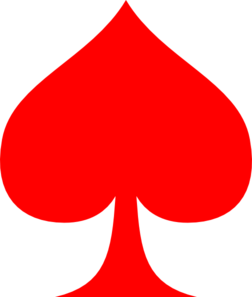 Hi JNG – I had an Oh S#*! moment recently and I defined Nonsense as exactly the thing that Arjuna was going through in the battlefield that formed the basis of Bhagavad Gita. I am referring to the agony and conflict that Arjuna was facing – Kill his cousins and uncles or forsake is duty? Am I getting the gist of your “nonsense” correctly? Pk, yeah! In a way. Gita was a struggle of Karma as a way to make complex decisions. About community and society above personal. 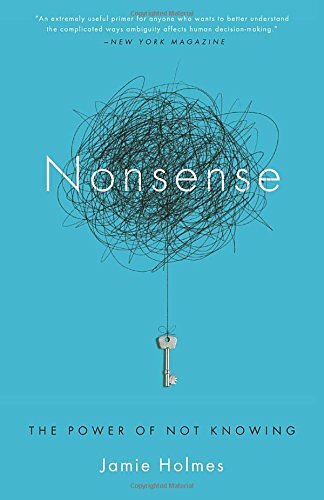 Nonsense is about need for closure or to settle on a story to make sense of random facts. In a way karma is a story too to make sense of killing and Sri Krishna told it really well. I am mainly referring to Arjun’s conflict (how can I kill these people?) as nonsense. Actually, he was seeking closure on this conflict standing in the middle of the battlefield. He was lucky to have Krishna with him to clarify his nonsense. Dude – Does the book lay out a method of dealing with the nonsense. I deal with my nonsense using spiritual tools. Is there a method laid out in the book in terms of how to deal with it? I am curious on how to converse on this topic with people at work who are not care about spirituality. Just the awareness of the nonsense is a huge deal and first step in getting out of it. But I dont know how you become aware of the nonsense without the spiritual practice. It sort of does! It talks about being skeptical, doing puzzles for lateral thinking, keeping big picture in mind, breaking things down to see full picture etc. These are hard things to do for somebody who is not open minded though. The point that we seek closure and hence jump to preconceived notions may not be universally correct. It is certainly true for people who have no inclination to learn and who are under pressure to decide, which may not be a normal occurrence. Else, how would advancement of knowledge have happened in the society? I am reminded of F.Scott’s quote “The test of a first-rate intelligence is the ability to hold two opposed ideas in mind at the same time and still retain the ability to function”. My point is that it seems too simple to make such a sweeping generalisation. I would certainly agree that our first attempt to find answers to problems confronting us makes us look at past familiar places since it is more easy and reliable. But, unless it carries a strong bias, a relatively open mind (and there are many open minds in society) ackowledges the need to find new answers to hitherto unencumbered problems. Regarding Gita’s battle field, my view is that Gita points the way to finding every individual’s true calling in life. Since Arjuna was a prince (more importantly thought of himself as a Prince), given the events that had led to his coming to the battle field, his future course of action is clear. How can he consider himself a King (a protector o subjects), if he cannot defend his own life & property? So once he considers himself to be a King, his future action becomes clear, irrespective of his opponents. My guess is that if Arjuna had been a teacher by profession (instead of a warrior) and if similar events had happened in his life, the suggested future course could have been very different. Perhaps to seek asylum with some other king or run for cover or plot to take revenge a la Chanakya. Anything but a direct confrontation. The point is that Gita, to my mind, makes us look back the path we have travelled so far in life (which itself is a product of destiny or Karma), identify for ourselves what we think we are and once that is done the future course of action becomes suddenly clear. I think the need for closure is a basic need – different people have in different degree – or rather different people are able to tame it to different degree – but its always there, its fundamental and key to evolution and survival. Now some people are able to handle different ideas in their heads for longer by taming their instincts but its painful – As I suspect you have noticed as well. Most people just go with the best available story to fill the gaps…A potential example is the last US election (depending on who you ask) where a narrative beat out a lot of disparate and alarming facts. In any case, I did not mean to discourage the “many open minds” in the society instead my goal was to identify the value and effort required for having an open mind so that we can appreciate the ones with the open mind and understand/empathize with the ones without. Sorry for the typo. I meant unencountered and not unencumbered.